The weekend 21st and 22nd April saw the season opener of the 2018 Irish Drift Championship (IDC) hosted at Mondello Park. The pre-season indicated that 2018 competition was shaping up to be even more fierce than ever, in what is already one of the most ruthless drift motorsport competition’s around the world. Both the Shanahan brothers, Conor and Jack, spent the Irish winter time refreshing their cars and color schemes. A 2JZ powered Nissan S14 for Jack will certainly give him the additional power he requires to remain at the top, while Conor’s Nissan 180sx is looking incredible in it’s new Link ECU / Westlake tires livery. Other competitors returning to competition in 2018 included Duane McKeever, Mitch Larner, Brian Egan and Mike Fitz. 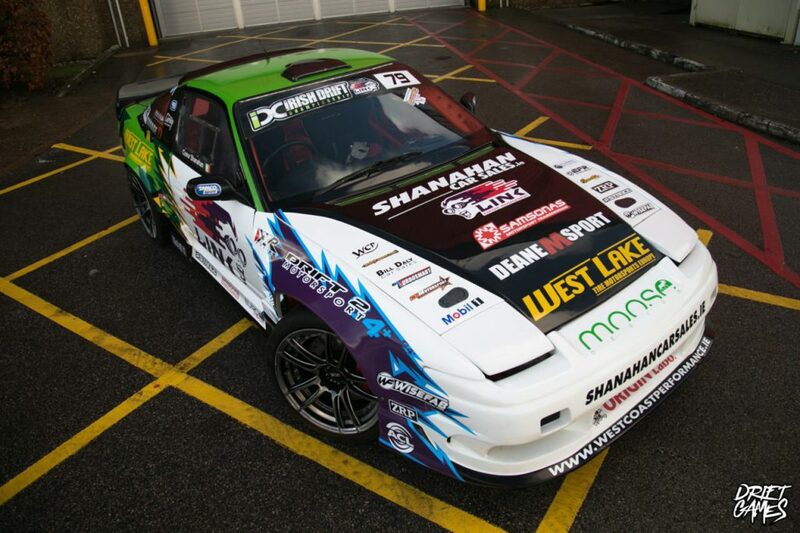 Link was also pleased to see IDC veteran Paul Conlan back for another season in his Nissan S15. 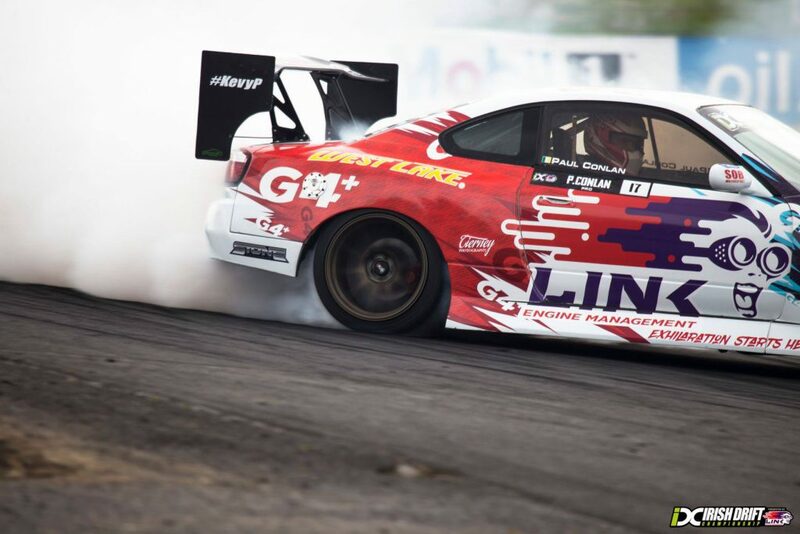 Once competition commenced it was clear to see that Duane McKeever was continuing his good form after dominating the battles at Round 1 of the British Drift Championship (BDC) held the weekend before. McKeever proved his point in qualifying topping the leader board with a solid 88.3 point score! Once the top 24 were whittled down, it was McKeever and the youngest of the Shanahan brothers, Conor, in the final. Duane continued his unstoppable form by narrowly taking the win after an epic display of driver skill from both competitiors. The standard of competition in both the PRO and PRO-AM classes over the weekend was incredible. 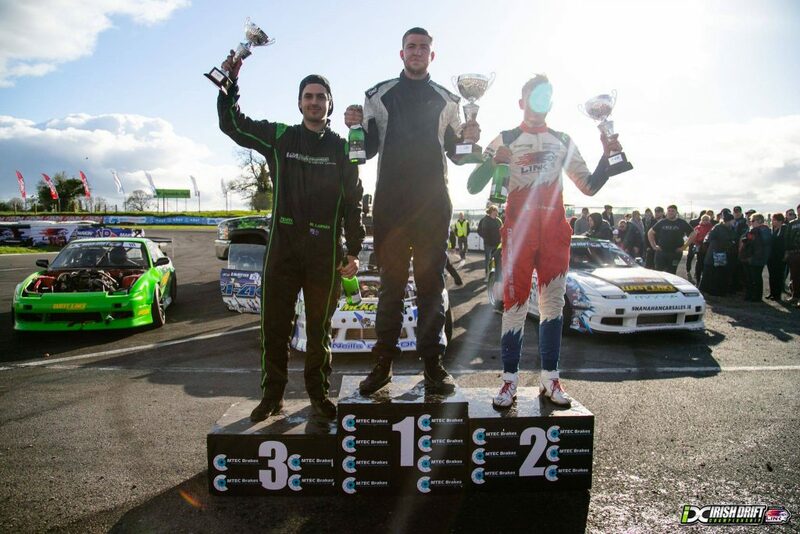 Link ECU congratulates all drivers and their teams – we are extremely proud to be a part of the Irish Drift Championship once again in 2018. Formula D season opener this weekend!